IN THIS mechanical age machinery is being substituted for human beings in every possible and conceivable situation. 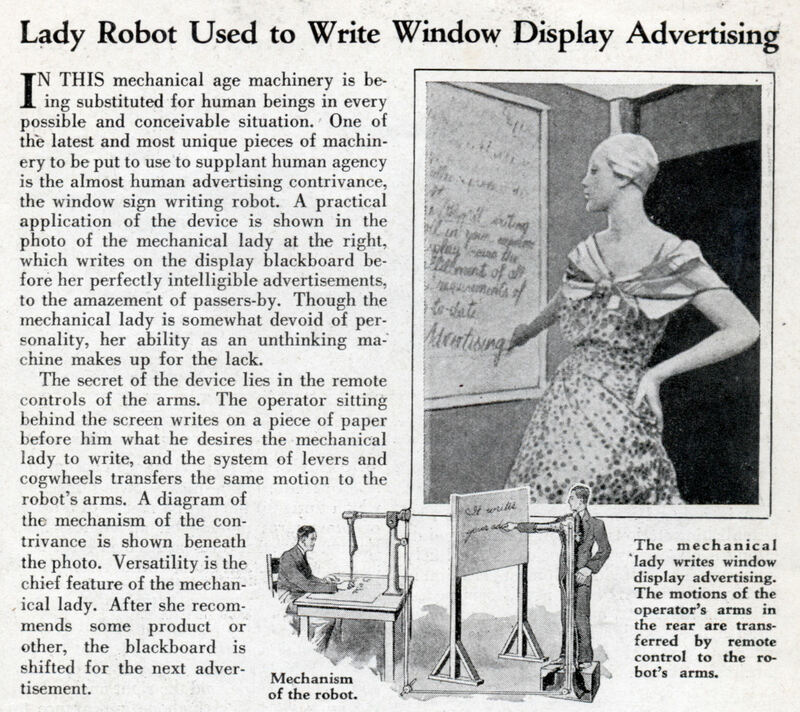 One of the latest and most unique pieces of machinery to be put to use to supplant human agency is the almost human advertising contrivance, the window sign writing robot. 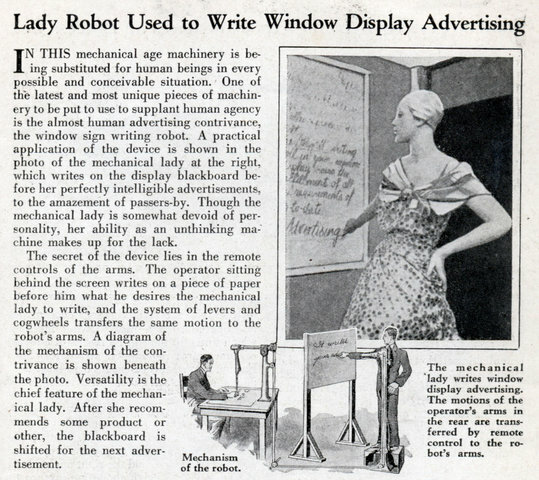 A practical application of the device is shown in the photo of the mechanical lady at the right, which writes on the display blackboard before her perfectly intelligible advertisements, to the amazement of passers-by. Though the mechanical lady is somewhat devoid of personality, her ability as an unthinking machine makes up for the lack. 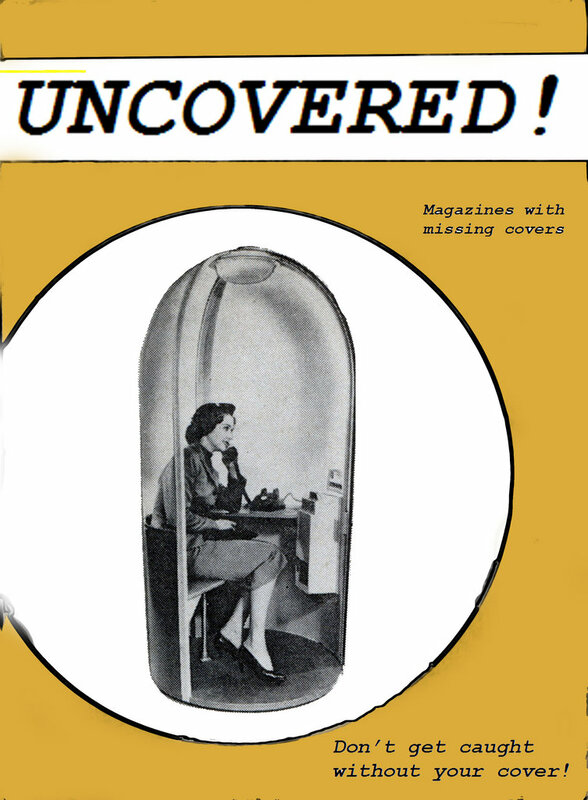 The secret of the device lies in the remote controls of the arms. The operator sitting behind the screen writes on a piece of paper before him what he desires the mechanical lady to write, and the system of levers and cogwheels transfers the same motion to the robot’s arms. A diagram of the mechanism of the contrivance is shown beneath the photo. Versatility is the chief feature of the mechan-, ical lady. After she recommends some product or other, the blackboard is shifted for the next advertisement.